Henry Farre was born in France in 1871, later moving to the Americas as an adult, where he became an artist painter of some note. 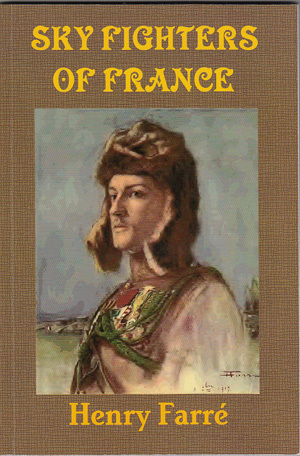 In 1914 , at the age of 43, he returned to France to fight for his homeland during WW1. There he was appointed by the French Government to produce a series of paintings recording air fighting, making him one of the pioneers in this field. Not content with just second hand experiences, he obtained a posting to the French Air Service and flew a number of combat missions, using his own experiences in many cases to draw and later paint combat scenes that he used as the basis for over 170 canvas paintings. His war paintings were exhibited in both France and the United States, and later at the Paris Salon in 1933, where his work won a gold medal. He was awarded the French Legion of Honour for his services in WW1. After the war he returned to live in America, writing and publishing a semi-autobiographical account of his wartime service, "Sky Fighters of France", in 1919. He died in the United States in October 1934.